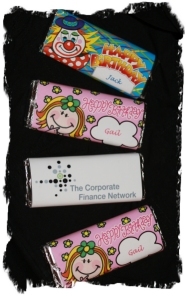 Whatever the occasion, be different and give away your own personalised chocolate bars! You can either choose from one of our professionally designed bars or allow us to design one specifically for you. Our unique designs create a ‘wow’ for every celebration. Your own personalised chocolate bars — whatever the occasion we can make a wrapper for you. Are you looking for a UK static caravan holiday? ETK Lettings, a new static caravan listing service for caravan owners selling their holiday availability. High quality properties from verified owners, we ensure you get the most from your budget. It’s fun. It’s stylish. It’s tasty and it costs less than most greetings cards!